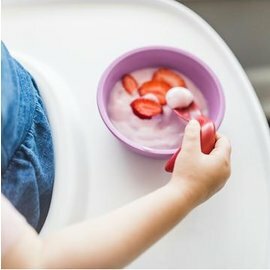 Kizingo spoons are curved to work with the way children hold utensils, making it easier for kids to successfully do it themselves. 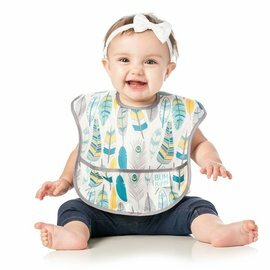 Kizingo products are designed to promote successful self-feeding, giving confidence to parents and children. 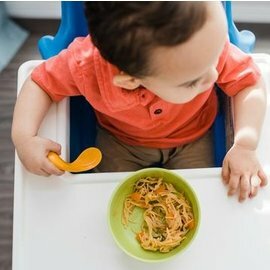 Little ones learning to feed themselves can get frustrated and most utensils are not well designed for how toddlers want to hold and use them. As a result, parents often take over feeding which can have unintended consequences. 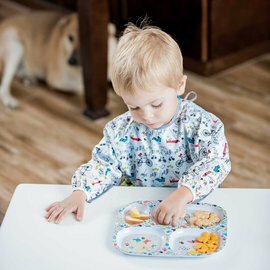 Kizingo spoons, however, are curved to work with the way children hold utensils, making it easier for kids to successfully do it themselves. 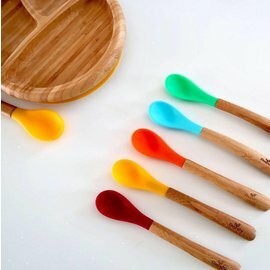 Spoons are made in the USA (New York) from FDA approved BPA/PVC/Lead/Phthalate-free polypropylene, have passed the most rigid safety standards, and are dishwasher safe. 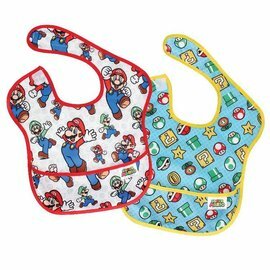 Intended for use with your little ones, ages 9 month and older. There's so much to learn when you're growing up, but at the dinner table with KIZINGO, eating has a new learning curve.